The Quinnipiac University poll also took a snapshot of Texas' gubernatorial race, showing Republican Gov. Greg Abbott with a prohibitive lead over his Democratic rival, former Dallas County Sheriff Lupe Valdez, 58 percent to 38 percent. As for each candidate's images, 52 percent of Texans surveyed had a favorable view of Cruz, with 44 percent viewing him unfavorably. O'Rourke, however, was slightly under water in how Texans viewed him: 45 percent of respondents had a favorable view of O'Rourke, compared to 47 percent who view him unfavorably. The poll also took a snapshot of Texas' gubernatorial race, showing Republican Gov. Greg Abbott with a prohibitive lead over his Democratic rival, former Dallas County Sheriff Lupe Valdez, 58 percent to 38 percent. 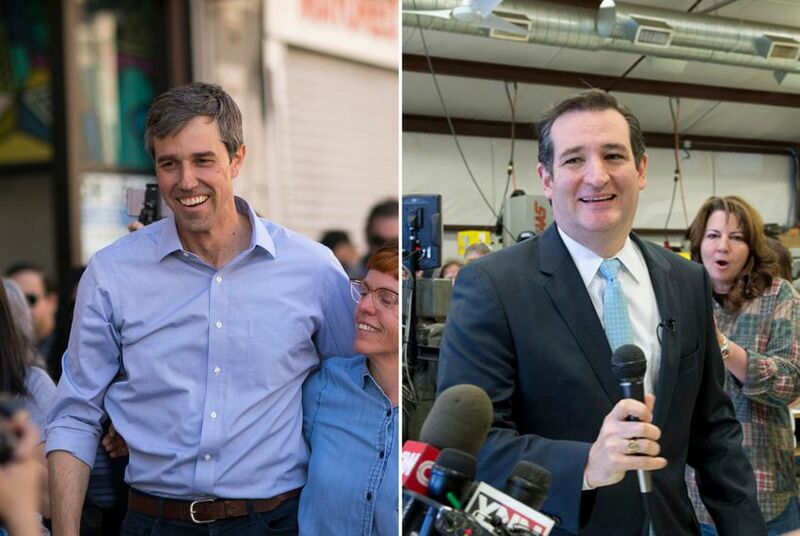 Strikingly, while Valdez and O'Rourke have consolidated support among African Americans, Abbott and Cruz garnered sizable Hispanic support. Cruz had the backing of 37 percent of Hispanic respondents while nearly half of Hispanics surveyed — 46 percent — supported Abbott. Sixty-two percent of Texans viewed Abbott favorably while 32 percent of Texans had an unfavorable view of the governor. In contrast, Valdez — an underfunded candidate — is still largely unknown for this point in the cycle. Thirty-one percent of Texans had a positive view of Valdez and 29 percent had an unfavorable view of her. The poll surveyed 730 likely voters, 730 using cell phone and landlines. The margin of error was 4.4 percent.